Key skills: coastal and marine ecology, marine planning, fisheries science, adaptive management, structured decision-making, climate change adaptation, data synthesis and analysis, research and technical writing. Erica’s work focuses on exploring the intricacies of ecological and social systems to inform resource management and planning within coastal and marine environments. She seeks to inform decision-making processes and their critical areas of uncertainty through the application of quantitative and qualitative analysis methodologies. 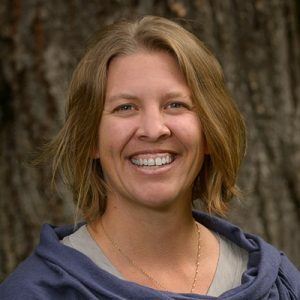 Her work includes assessment of impacts from human activities on coastal resources, evaluation and design of ecosystem monitoring programs, and development of decision-making and risk management frameworks. She is experienced in developing pathways of effects models and gathering and documenting knowledge related to developing strategies for marine plan implementation and climate change adaptation. Working with governments, industry, and non-profits, Erica tackles a wide range of coastal resource management challenges. Her background includes development of an impact assessment framework for assessing risk related to various uses within marine protected areas. With First Nations on the coast of British Columbia, she has assessed decision-making needs to inform monitoring program design. In Australia and Canada, she has documented traditional ecological knowledge and combined information from scientific research for use in conservation and resource management. She has conducted power analyses for detecting changes in fish populations and developed catch estimation analysis methods to inform fisheries management. Erica holds a B.Sc. in Natural Resources from Cornell University, where she investigated human impacts on spinner dolphins in Hawaii, and an M.Sc. in Resource Management from Simon Fraser University, where she combined satellite telemetry and traditional and local knowledge to comprehensively investigate male loggerhead sea turtle movements in Shark Bay, Western Australia. Erica currently lives in Vancouver where she enjoys paddling, camping, playing the ukulele, and playing hockey.